Hear from AANP Fellow Kathy J. Wheeler, PhD, RN, APRN, NP-C, FNAP, FAANP, on her experience advocating for vaccinations with Shot@Life. Q: Why are you passionate about the mission of Shot@Life and what motivated you to become a Shot@Life Champion? My background involves global advanced practice nurse (APN) issues, and I’ve long had an underlying interest in education, practice and the APN role. As a nurse practitioner (NP), I’ve always been a champion of immunizations in my practice—it’s one of the cheapest things we can do to stay healthy. When Shot@Life issued a call for Champions to help increase immunizations globally for children, it was a natural fit. The organization was particularly interested in hearing from members of the nursing community, such as NPs, because of their high level of credibility and knowledge. We’re in a unique position to really drive the issue home by talking about the devastation of vaccine-preventable diseases. It’s also a great partnership for AANP members. Having gone to the AANP Health Policy Conference for years, I felt very comfortable asking about appropriations, speaking with members of Congress on Hill Day and championing the effort. 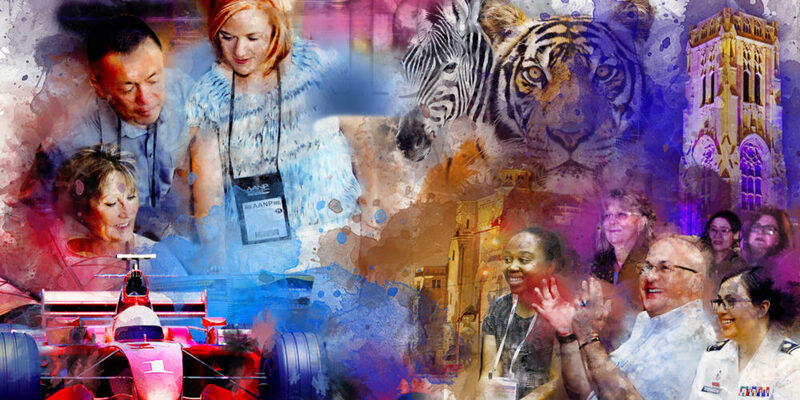 Q: What were some of the most important takeaways from this year’s Shot@Life Champion Summit? The Champion Summit allows advocates from across the country to become educated, sharpen their advocacy skills and meet with members of Congress on Capitol Hill to share knowledge. Again this year, there were more Hill Day visits than ever before. Historically, the focus has been on global immunization issues, but the recent measles outbreak in the U.S. hit home with all legislators. Our discussion on immunization often includes why we should spend time and money on outreach—and as nurses, we can speak to the ethics of care—but it’s also defensive. When individuals who catch measles abroad bring it back home, it can be devastating. If we don’t immunize the world, we bring it back to our door. Our country is strong if the rest of the world is healthy. Shot@Life continues the fight to eradicate serious diseases and is now making a push to tackle polio. This year, a group of Shot@Life Champions met with Senator Mitch McConnell, who battled polio as a child. A Champion from Kentucky is also a polio survivor, and the two had a conversation about their personal experiences with the disease. It was a very special moment for those of us in the constituency. Q: How can NPs, specifically, help support the discussion around immunization? The NP model is prevention and comprehensive health care. NPs are already champions of immunizations. We realize the importance of eradicating these serious diseases and realize the importance of supporting efforts to expand access to vaccines for children in countries around the world. That said, there is always room for improvement. With the controversy about vaccinations in the U.S., health care providers need to be informed so they can talk with their patients, answer questions and encourage vaccinations. We need to continue this effort because immunization is one of the cheapest things we can do to keep us healthy. Q: How can others get involved with the effort to increase access to vaccines? I would love everyone to become a Shot@Life Champion. The process can be done from home through a simple online training session, and from there you can continue to communicate with members of Congress and educate the community. Shot@Life has a number of campaigns throughout the year timed with appropriations—Advocate2Vaccinate is Shot@Life's next national call to action planned for the month of April. Champions are also encouraged to do their own outreach, whether that’s speaking with colleagues, developing community programming or raising money directly. AANP has partnered with Shot@Life, a United Nations Foundation advocacy group, to educate the public, lobby members of Congress and advocate to maintain global health care spending. Become a Shot@Life Champion by taking one of the online training webinars or by joining the online Champion Community. Are you interested in joining Advocate2Vaccinate? Shot@Life has a helpful digital toolkit, where you can access all of the social media posts, how-to guides and other resources. Stay tuned for more information about applying for the 2020 Shot@Life Champion Summit! Together, we can help curb vaccine-preventable diseases and ensure all children have access to life-saving vaccines. Thank you to Dr. Wheeler for her invaluable assistance with this article. 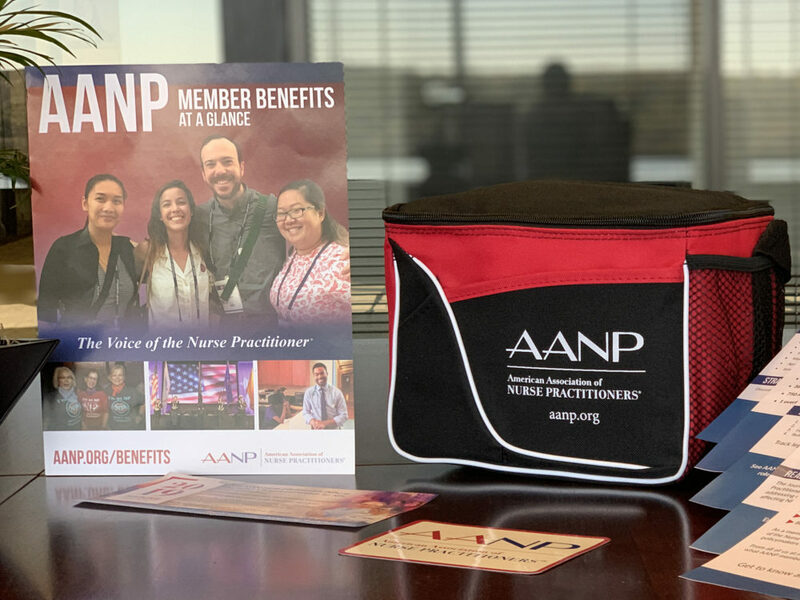 Use the code AANPSuccess to join more than 97,000 others in supporting NPs and the NP role—and receive a free AANP lunch bag!